Recent changes in higher education financing policies in England have led to more students funding their studies via two types of student loan—for tuition fees and/or for maintenance. Moreover, the average amount borrowed has been increasing. Yet not all students take out loans, and understanding the determinants of take-up is important, not least because those who can manage to study without borrowing enjoy significant advantages both during and after their studies. Using Next Steps, a unique dataset with data on both types of loan and rich information on students’ backgrounds and their attitudes to debt, we analyse loan take-up by type of loan. We estimate the strength of the association of loan take-up with each of students’ family income, indicators of family wealth (home ownership, private education, not living in a deprived area, social class), parental education, gender, ethnicity and debt aversion. Of these, only social class is found to have no independent effect. We find that these associations can differ according to the type of debt. We also find that, while students from some disadvantaged groups are less likely to take out maintenance loans, this association is accounted for by students living at home while studying, a prime mechanism for debt avoidance. For the past 20 years, successive reforms in higher education financing in England have led to more undergraduate students drawing on student loans to pay for their tuition fees and living costs, and borrowing larger sums. Yet little research in England explores who borrows, what they borrow for, and the role of debt aversion. Existing research has relied exclusively on one limited dataset, providing a partial picture of undergraduate borrowing. This paper fills significant gaps in our knowledge by calling on a unique longitudinal dataset—Next Steps—allowing us to investigate the determinants of student loan take-up, differentiating between maintenance and tuition fee loans, while exploring the influence of debt aversion. Next Steps includes students studying in 2009 and 2010. Since then, average tuition and maintenance loan debt has risen exponentially. Therefore, all things being equal, it is likely that our findings would be more relevant and pronounced today. Certainly, our conclusions give insights into the inequalities created by the student funding system. Knowing who opts not to take out loans is important because these students are at a significant advantage, both during and after their studies. This could have long-term repercussions for social mobility, especially if those not borrowing already come from advantaged backgrounds. For instance, student loans are positively associated with drop-out and negatively associated with graduation (Baker et al. 2017). Consequently, those without student loans might have higher chances of graduating and of enjoying the lifelong private benefits associated with gaining a first degree (Brennan et al. 2013). Beyond academic success, the privileges of those not taking out student loans extend to post-graduation outcomes too. The overhanging debt creates a huge financial gap between debtors and non-debtors. Moreover, as research on the long-term consequences of student loan debt shows, having student loan debt can limit or constrain graduates’ decisions and choices about their employment and careers, postgraduate studies, home ownership, family formation, health, savings for retirement, and financial wellbeing (de Gayardon et al. 2018). The implications of the simple question of ‘who borrows’ are, therefore, significant both in the short and long term. The study of the determinants of student loan take-up is especially salient for English universities and students. Higher education reforms since 1998 have made the financial sustainability of the sector heavily reliant on tuition fees, underwritten by student loans. In 2016/2017, close to 40% of English higher education institutions’ total income of £29.9 billion came from home and EU students’ tuition fees (Higher Education Funding Council for England 2018). As tuition fees in England have increased over time, so has the size of student loans and student loan debt. As a result, English domiciled students who study in universities graduate with the highest average debt in the Anglophone world (Kirby 2016). Consequently, it takes English students far longer to repay their loans after graduation compared with their peers in other countries. In 2014, the average time to repayment was estimated to be 27 years in England compared with 8.4 years in Australia (Hillman 2014) and 19.7 years in the USA (One Wisconsin Institute 2013). Following the most recent student loan reforms, which included extending the repayment time from 25 to 30 years, it is now predicted that 83% of students in England will not repay their loans in full within 30 years, when all outstanding debt is forgiven (Belfield et al. 2017b). The notion of cost sharing has largely informed England’s higher education funding policies since the 1990s, whereby more of the costs of higher education shift from government and taxpayers to students and their families. Prior to 1998, public universities were fully funded by the state and English domiciled full-time undergraduates paid no tuition fees. Low-income students were eligible for maintenance grants towards their living costs and in 1990 mortgage-style maintenance loans were introduced for all undergraduates. Encouraged by government policy and rising demand, between the early 1980s and late 1990s, higher education more than doubled in size to over 1.6 million students. But government funding failed to keep up while per student funding declined by 39%, leading to a financial crisis (Murphy et al. 2018). In response, the government set up an independent review of funding in 1996 which set out the rational for tuition fees repaid by loans. However, the new incoming government rejected the review’s proposals, and in 1998 introduced two cost-sharing policies: means-tested tuition fees of £1000 paid up-front for all undergraduate courses, and enhanced, fully income-contingent, maintenance loans to replace maintenance grants for low-income students.3 As a result, the average value of maintenance loans increased steeply up to 2003 and has continued to rise subsequently (Fig. 1). The average value of maintenance loans in 2009/2010 was £3600. Take-up rates increased in parallel from 28% in 1990 to 84% in 2011/2012. After years of under-investment in higher education, the £1000 means-tested fees proved inadequate for universities to fulfil the government’s desires to harness knowledge for wealth creation, meet the high-level skills required to compete in a globalised knowledge economy, and expand and widen higher education participation. Controversially, in 2006, the government introduced tuition fees of up to £3000 per year payable by all undergraduate students, supported by income-contingent tuition fee loans. These loans increased universities’ income and facilitated the tuition fee hike by making it more politically and socially acceptable. That year, 397,000 full-time students took out a new tuition fee loan worth an average of £2030. Since 2006, the number of students taking out tuition fee loans has risen continuously, as has the average value. By 2011/12, 887,000 full-time students had taken out tuition fee loans—a take-up rate of 84%, borrowing an average of £3210. Debt at graduation from full-time study reached an average of £16,160 in 2011 up from £2690 in 2000—reflecting the 2006 funding reforms (Student Loans Company 2018). Students start repaying their maintenance and tuition fee loans in the April after they graduate or leave higher education. They pay 9% of their income above an income threshold which has changed over time (Murphy et al. 2018). Repayments are taken directly from the graduate’s salary through the tax system. Repayment stops when the full loan balance has been repaid or after 25 years, when any outstanding debt is forgiven (Belfield et al. 2017a). This system effectively protects the borrower from default and controls their repayment burden. Up until 2012/2013, the interest paid was equal to inflation (Retail Price Index) or the Bank of England base rate plus 1%, whichever was lower—in effect, a zero real interest rate. Student loan take-up is influenced by two main factors: financial need and willingness to borrow. Financial need dictates whether students who have decided to enter university can do so without taking out student loans, which is primarily determined by their family’s financial resources (Oosterbeek and van den Broek 2009; West et al. 2015). Students from high-income backgrounds are consistently better off throughout higher education and subsequently in the labour market because of their economic, cultural and social advantages (Crawford et al. 2016; Forsyth and Furlong 2003; Haveman and Smeeding 2006). With parental financial help, they can afford to pay for some or all of their tuition fees and living costs up front and without taking out a student loan. Evidence on the importance of financial need indicators, however, is somewhat mixed. Low parental social class and parental income are found in some studies to be associated with higher loan take-up (Callender and Wilkinson 2003; Ferreira and Farkas 2009; Johnes 1994; Johnson et al. 2009; Maher et al. 2018; Payne and Callender 1997; Oosterbeek and van den Broek 2009; Pollard et al. 2013; Purcell et al. 2008). Yet two English studies based on the Student Income and Expenditure Surveys (SIES) (the main dataset on students’ finances in England) and focusing on maintenance loans prior to 2006 find no relationship (Callender and Kemp 2000; Finch et al. 2006). Parental education—an indirect proxy for family resources—was not associated with loan take-up in early SIESs (Finch et al. 2006; Johnson et al. 2009; Pollard et al. 2013), but the latest SIES did find a relationship (Maher et al. 2018). Students can potentially reduce their financial need and reliance on loans by adopting ‘debt avoidance mechanisms’, for instance, by living at home with their family or undertaking paid work while studying (Artess et al. 2014; Bates et al. 2009; Callender 2008). Lower maintenance loan take-up is consistently found to be related to students living at home (Callender and Kemp 2000; Callender and Wilkinson 2003; Finch et al. 2006; Johnson et al. 2009; Maher et al. 2018; Payne and Callender 1997; Pollard et al. 2013), while higher loan take up has been linked to living off campus compared with living on campus (Johnes 1994; Payne and Callender 1997). By contrast, having a paid job appears unrelated to student loan take-up (Callender and Kemp 2000; Callender and Wilkinson 2003; Johnes 1994; Payne and Callender 1997). Yet these mechanisms may adversely affect students’ higher education experience and subsequent labour market opportunities. Living at home is associated with missing out on the ‘full’ student experience and the social networks built at university (Malcolm 2015), while working during term-time can lead to lower academic performance as well as a higher likelihood of drop-out (Callender 2008; Curtis and Shani 2002; Hovdhaugen 2013). Students’ willingness to borrow also influences loan take-up, which is related to a number of factors including their culture and values as well as their attitudes towards debt (Harrison et al. 2015; Haultain et al. 2010). Some students, especially from wealthy backgrounds, have an incentive to arbitrage increasing their willingness to borrow (Barr 2010).4 Students who are already in debt—for instance with overdrafts, commercial credit and credit card debt—also appear more willing to borrow and have higher maintenance loan take-up than those without such debt (Callender and Kemp 2000; Gayle 1996; Johnes 1994; Payne and Callender 1997). This demonstrates the importance of attitudes towards debt. Conversely, debt aversion may deter individuals from borrowing for higher education (Eckel et al. 2007; Oosterbeek and van den Broek 2009) and influence participation and college choice (Callender and Jackson 2008; Callender and Mason 2017; González 2011). Student characteristics matter when considering loan take-up because of the way societies and cultures shape willingness to borrow. Thus, gender significantly influences financial risk attitudes, with females being more risk averse than are males (Eckel and Grossman 2002; Galizzi et al. 2016). Early evidence about loan take-up in the UK found that females were less likely than males to take out student loans (Johnes 1994; Payne and Callender 1997), which holds for the Netherlands (Oosterbeek and van den Broek 2009). It is, however, no longer the case in more recent English SIESs (Callender and Kemp 2000; Finch et al. 2006; Johnson et al. 2009; Maher et al. 2018; Pollard et al. 2013). Additionally, values and beliefs tied to culture and ethnicity could either encourage or dissuade students from borrowing (Dohmen et al. 2011; Yao et al. 2005). For instance, Sharia law does not allow Muslims to borrow using financial products that attract interest. Ethnicity used to be associated with lower loan take up among Asian students and those from other ethnic minority groups (Callender and Kemp 2000; Callender and Wilkinson 2003; Finch et al. 2006; Maher et al. 2018; Payne and Callender 1997). However, this was no longer true in the two most recent SIESs (Johnson et al. 2009; Pollard et al. 2013). Similarly, students’ family characteristics were significantly correlated with loan take-up in earlier studies (Callender and Kemp 2000; Finch et al. 2006; Gayle 1996; Johnes 1994; Johnson et al. 2009; Payne and Callender 1997), but not in the latest SIEs (Maher et al. 2018; Pollard et al. 2013). The link between student demographics and loan take-up therefore seems to have eroded over time, as take-up has grown. What is the relationship, if any, between key indicators of wealth and the propensity to take up a student loan? Do the effects differ significantly between maintenance and tuition loans? What is the relationship between debt aversion and loan take-up of either type of loan? What are the important debt avoidance mechanisms that students use, and do these apply equally to maintenance and to tuition loans? To answer these questions, we use the first seven waves of Next Steps (formerly known as the Longitudinal Study of Young People in England (LSYPE)), which follows the lives of English people born in 1989–1990. The survey started in 2004, when the respondents were aged 13–14, was undertaken annually until 2010.5 It collected information on parental economic and social background, academic attainment, health and wellbeing, family life, education and employment. It also assesses respondents’ attitudes, including towards debt. Information from early waves of the survey are exploited, especially the seventh wave undertaken between May and October 2010 when respondents were aged 19 or 20 and therefore likely to have started higher education. The initial sample selected was nationally representative of young people in England, with an over-sample of schools in deprived areas. By wave 7, nearly half of the original sample of 15,770 had dropped out of the study, reducing the sample at wave 7 to 8682. The response rate at wave 7 was 90%. Survey weights, which account for attrition (Department of Education 2011), and sampling strata are used in this paper to keep the representativeness of the original sample. With less than 10% missing data on any individual variable included in the models, listwise deletion is used throughout. The sample used in this paper consists of all respondents who had enrolled in higher education by wave 7 (N = 4368) and therefore had decided whether to take out loans. In 2016/2017, 74% of first-year undergraduates in England were aged 20 and under (Higher Education Statistics Agency, 2018). Our analysis, therefore, captures the vast majority of respondents who entered higher education. Nevertheless, mature students are excluded from this analysis but their relationship to student loans is usually different and, generally, they are less likely to rely on loans. Part-time students are excluded too because they were ineligible for loans. Nevertheless, unlike any alternative dataset, Next Steps provides very rich information on students’ socio-economic backgrounds, attitudes towards debt, and opportunities to compare borrowers and non-borrowers—advantages that make it stand out and enable us to answer our research questions. At waves 6 and 7 of Next Steps, cohort members enrolled in higher education institutions were asked how they financed their studies. The variables tied to student loan debt in both waves are combined to obtain an indicator of whether the respondents took a student loan. In wave 7, the distinction is made between tuition fee and maintenance loans. Following practice elsewhere (e.g. Henderson et al. 2018), we use variables adopting the family as the unit of analysis for the socio-economic background. Therefore, parental social class, family’s highest educational level and housing tenure are used as indicators of parental wealth. They are taken from wave 4 (when respondents were aged 16), the latest wave at which parental information is available. In England, social class is based on occupational types and we adopt this system to categorise parental social class (Office for National Statistics n.d.). To these variables, we have added two indicators from wave 1: the ‘income deprivation affecting children index’ (IDACI) and whether the respondent was attending private or state school. The latter is, specifically in Britain, a useful indirect proxy for wealth since private school fees are especially high and, for the most part, can only be afforded by families with considerable wealth (Henseke et al. 2018). We also include an indicator, created by Anders (2012), of permanent equivalised income based on family income measures in the first four waves of the survey. Our demographic data include gender, ethnicity and religion (which we categorise as Muslim or other). The data also include six debt attitude statements that were proposed to respondents in waves 4 to 6. They are graded from 0 to 4, with answers ranging from strongly agree to strongly disagree. These answers are added to create a debt aversion index, available in the dataset, ranging from 0 to 24, with lower scores indicating higher debt aversion. We use the index from wave 4, prior to entering higher education, except for those missing at wave 4, when we use the index from wave 5. We also make use of two additional variables—living at home and paid work during term-time—that capture two possible ways in which students can reduce or avoid the need for loans. Living at home while at university is divided into three categories: never, partially and always. The middle category includes all those who entered higher education at wave 6 and changed accommodation in wave 7. Similarly, the variable coding for work during term-time includes a category for irregular work. The models presented below use probit for consistency. Part of this research aims at analysing the importance of the nature of student loans. To do so, we estimate two models simultaneously in Table 3, a design that is only possible for categorical outcomes when using the probit transformation. Consequently, the other model has also been estimated using a probit. Table 1 describes students who do and do not take out loans. It strongly supports the hypothesis that these two student groups are different, especially regarding parental wealth and debt aversion. While there is little to no difference in parental social class between student borrowers and non-borrowers, the other indicators of wealth show the expected relationship. Student non-borrowers are more likely to come from wealthier backgrounds, i.e. from a family who owns their house, had attended a private secondary school and are living in an area with a lower IDACI score. Debt aversion is more pronounced among non-borrowers, with an average score of 12.97 compared to 13.68 for borrowers—a significant difference. Finally, a smaller proportion of students living at home borrow for higher education. This result is also true of those who work during term-time, though the difference is smaller. Borrowers and non-borrowers differ by gender: 89% of the female students are borrowers compared to 92% of male students. There is also a small but non-significant difference by religion, with a higher representation of religious students among non-borrowers, but little difference by ethnicity is observed. Table 1 also provides descriptive statistics for the subsample of tuition fee loan borrowers and for the subsample of maintenance loan borrowers. It can be noted, for example, that students who lived at home were less prominent (66%) in the sample with maintenance loans than they were in the sample with tuition loans (78%). However, because most students take out both types of loans (83% of borrowers in our sample), the observed differences are relatively small. Two analyses are conducted. The first, using a probit model, describes who does versus does not take out student loans in general. Each column in Table 2 presents model estimates that address the first part of our three research questions regarding the key determinants of loan take-up. When reported in the text, marginal effects are calculated at the means. Estimates and marginal effects are reported for model 2, except when discussing debt avoidance mechanisms, which are accounted for in model 3. The models show that, independently of other controls, family wealth does matter in student loan take-up. Students who attended private schools, or whose parents own their house, earn more, or live in less-deprived areas, have lower probabilities of taking out student loans. Housing tenure has a particularly substantial effect. The probability of borrowing is 7.8 percentage points higher for a student whose family’s house is being bought on a loan compared to a student whose family own their house outright—with all other variables in the model being set at the means. Higher parental education also relates to higher student loan take-up, though in the opposite way to that observed for other proxies for family resources. This result, however, is no longer significant once debt avoidance mechanisms are accounted for (model 3). This finding suggests that parental education significantly raises loan take-up but only for those not living at home.6 Interestingly, parental social class makes no difference in loan take-up in any of the models, corroborating the descriptive results in a way consistent with earlier studies. Overall, the results tend to support the hypothesis that family wealth is related to lower student loan take-up and thus that students from richer backgrounds can escape the burden of student loans. The models also include demographic characteristics. They show the effects of gender, ethnicity and religion on the probability of taking out student loans. Gender is particularly interesting, although the effect is modest. Women have probabilities of taking out student loans that are 2.5 percentage points lower than those of men, all else being equal. Ethnicity makes little difference except for students of Bangladeshi origin, who are more likely to borrow than White students, and students of Indian heritage who are less likely to borrow than White students. The effect of religion is as expected and quite substantial, with Muslim students being more reluctant to take out student loans. Column 2 shows that a Muslim student, on average, is 10.9 percentage points less likely to borrow than is a similar student with no religion. However, this is no longer true when debt avoidance mechanisms are added. This could imply that Muslim students are more likely to adopt debt avoidance mechanisms like working during term-time and living at home for cultural reasons and/or to avoid borrowing, which is forbidden by Sharia law. Column 2 addresses the role that debt attitudes play in accounting for student loan take-up. For an average individual, a one-unit change in debt attitude increases the probability of taking out a student loan by 0.8 percentage point in model 2, when all other variables are included. The effect decreases when adding debt avoidance mechanisms, which is probably due to debt averse students using these mechanisms to shun loans. Finally, column 3 adds both living at home and working during term-time to the model, behaviours that could be aimed at reducing or completely avoiding debt. These two variables are the outcome of decisions, possibly taken at the same time as the decision on student loans. They can be inputs or outputs of the decision-making process. They are not separate exogenous factors. Nevertheless, model 3 is informative about whether these are negatively associated with loan take-up, and hence whether these can be seen as debt avoidance mechanisms. Our estimates show that living at home is indeed negatively associated with loan take-up, but working during term-time is not. Students who always live at home while studying have probabilities of taking out student loans that are 11.5 percentage points lower than those of their peers who never lived at home. This is a substantial effect size, revealing living with parents as an important mechanism to avoid student loans. Using a bivariate probit regression, the second analysis (shown in Table 3) estimates two probit models simultaneously to analyse the take-up of tuition fee loans and maintenance loans. This estimation procedure allows for the possibility that unobserved factors might affect the take-up of both types of loan. Allowing the residuals to be correlated can lead to a statistically more efficient estimation. We fit this model under the hypothesis that the decisions to take out tuition fee and maintenance loans are taken simultaneously by the student. This hypothesis is confirmed by the significant correlation of the errors, as shown by the athrho (the Fischer z transformation of the correlation) in Table 3. Models identical to that in Table 2 are evaluated simultaneously for tuition fee loans (Panel A) and maintenance loans (Panel B). The same variables are included in all equations to assess whether they have different effects depending on the type of loan. Estimates are reported for model 2, except when discussing debt avoidance mechanisms. A slightly different picture emerges when it comes to deciding to borrow for tuition fees or for maintenance. Students whose family owns their home outright, who live in less-deprived areas and whose parents earn more are less likely to borrow money for both purposes. In both cases, family socio-economic background does not play a role. While family’s highest educational level is unrelated to borrowing for tuition fees, it is linked to maintenance loans except when debt avoidance mechanisms are added. This supports our former assumption of greater geographical education mobility among the children of more highly educated parents and their need to borrow to afford to live away from home. The gender differences observed in the probit model hold for both types of loans, although effect sizes are larger for tuition fee loans. Ethnicity, however, does not play a role in the probability of taking out tuition fee loans, except for students of Indian origin. Indian students are the only ethnic group differing from White students when it comes to maintenance loans,7 although this effect disappears for tuition loans and diminishes for maintenance loans when adding debt avoidance mechanisms. This last result is probably explained by the higher propensity of Indian students to live at home and therefore not to need maintenance loans. Similarly, religion is a factor for both types of loans, with Muslim students less likely to borrow. Columns 2 and 3 of both panels show that debt attitudes are an important predictor of the probability of taking out both types of loans, although effect sizes are slightly larger for maintenance loans. Finally, column 3 provides insights into the role played by debt avoidance mechanisms, some of which have already been discussed. The probabilities of borrowing for both tuition fees and maintenance are lower when the student lives at home, but the effect size is much larger for maintenance loans. While working during term-time does not relate to maintenance loan take-up, it is related to an increase in the probability of taking out tuition fee loans, maybe indicating a reverse relationship where the need to work stems from the accumulation of high tuition fee loans. To check robustness, we performed multiple imputation8 on the dataset and estimated model 2 using the imputed variables. Multiple imputation made only small differences to the estimated associations between our independent variables and loan take-up. We also ran two probit models to check the robustness of our second analysis: one with tuition fee loan and one with maintenance loan as an outcome. This also has little effect on the estimated patterns. 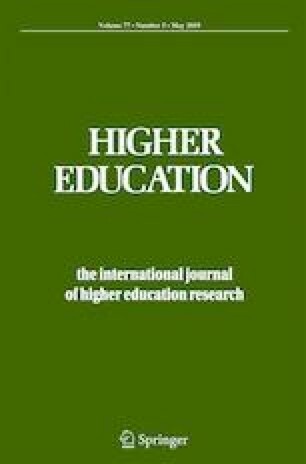 In this paper, we have sought to broaden the scope of existing research on the determinants of student loan take-up, filling gaps in the current literature and analysing the take-up of tuition and maintenance loans separately, thereby contributing evidence to ongoing debates surrounding student loans in England. Our contribution pertains to the cohort born in 1989–1990, and it can be hypothesised that, with larger debt and more borrowers today, the conclusions highlighted below would still hold. Future research using, for instance, the second cohort of the Longitudinal Study of Young People in England (known as ‘Our Future’) born in 2000 could verify that hypothesis, once this dataset becomes available. This is a descriptive study of the relationship between student characteristics and the probability that they have taken a student loan to pay for their higher education. It is by no means a causal analysis of the relationship and should not be interpreted as such. The data in the Next Steps longitudinal study did not allow for a causal design but provided other analytical opportunities of which we took advantage. The sample is also restricted to those who were in higher education at the age of 19 or 20. While the vast majority of undergraduates have entered higher education by these ages, mature students and their patterns of borrowing are excluded from the analysis. Moreover, our study has not considered the effect of debt on higher education enrolment—a potential issue for further research. Finally, our findings apply to those studying in 2010 in England: any application to different circumstances in other countries, or in England subsequent to later tuition fee increases, would need to exercise caution. Despite these limitations, we believe that this research provides six important contributions to understanding student borrowing behaviour. First, we provide quantitative estimates of the association between loan take-up and key wealth indicators in 2010. Computing the average marginal effects from Table 2 column (2), we find, for example, that students whose parents own their own house outright are 8.0 percentage points less likely to take out a loan than those who own no house. Students who attended a private school are 5.5 percentage points less likely to take a loan than students from state schools. These two effects are reinforcing and independent. An alternative way of appreciating the magnitude of these factors is to partition the data to produce a purely descriptive finding: looking at the sample of privately educated students from families which own their homes outright, just 70% took out a loan, compared with 91% of the entire student population. Similarly, both types of loan take-up are negatively related to a family’s permanent equivalised income. These findings confirm and quantify popular assumptions and are consistent with some findings in existing literature (Payne and Callender 1997; West et al. 2015). Interestingly, family social class played no independent role in student loan take-up, after controlling for our indicators of wealth and permanent income. This is in line with some existing studies but contrary to the most recent SIES studies that, however, do not control for family wealth. Secondly, our analysis highlights the role of parental education: children of parents with a first degree or higher are, ceteris paribus, 4.0 percentage points more likely to take out a maintenance loan. Our interpretation is that higher educated parents, whose university experience typically entailed leaving home, and who may also be fully aware of university status hierarchies, are less likely to discourage their children from moving away from home to study. Thirdly, unlike previous studies, ours finds a role for gender, with female students 2.5 percentage points less likely to take loans. This small effect could be in part attributable to women having higher debt aversion as suggested by Bates et al. (2009). Other research shows that female students’ attitude towards debt changed significantly between 2002 and 2015 (Callender and Mason 2017). Fourthly, we confirm the relevance of attitudes towards debt when analysing higher education choices in England. A 1 standard deviation rise in debt aversion is associated with a 2.4 percentage point reduction in the probability of loan take-up, effecting the take up of both maintenance and tuition fee loans. Albeit modest in size, this finding has implications for social mobility. As other research shows, debt aversion is greatest among low-income students and is related to decisions to enter higher education and the choice of university (Callender and Jackson 2008; Callender and Mason 2017). Fifthly, living at home while studying is a significant debt avoidance mechanism but, consistent with earlier studies, working in term-time is not. Living at home is more strongly linked with lower maintenance loan take-up than with lower tuition fee loan take-up (27% compared with 15%). The proportion of commuter students in the UK has been quite stable at about 20% since the 1990s (Malcolm 2015), despite rises in tuition fees in all countries but Scotland. Any increases in students living at home have been localised and linked to ethnicity, religion, and social background, whereby tuition fee rises and the ensuing debt might adversely affect the mobility of certain subgroups who tend to be already disadvantaged (Donnelly and Gamsu 2018). Living at home as a debt avoidance mechanism is problematic because it limits students’ choice of institution to one within commuting distance of their home. Moreover, on graduation, younger students living at home tend to remain in their locality, rarely operating in a national graduate labour market, and are often confined to local often lower paying jobs (Purcell et al. 2012). Sixthly, ethnicity and religion are related to loan take-up. Specifically, students of Indian origin are 11.7 percentage points less likely to take out maintenance loans, with this effect becoming smaller and statistically insignificant once we control for whether the student was living at home. And Muslim students are 9.7% less likely to take out a tuition fee loan, and 18.5% less likely to borrow for maintenance. Again, both these effects are much smaller and insignificant when accounting for living at home. Understanding who does and does not take out student loans is important, because those who manage to study without borrowing enjoy significant advantages both during and after their studies. These advantages span the financial realm, and spill over to academic achievements and societal milestones: having student loans is linked to lower probabilities of graduating, having a family, buying a house and saving for retirement (de Gayardon et al. 2018). Thus, student loan take-up has potential implications for policies on educational inequality and social mobility. While take-up is surprisingly broad across the income and social spectrum, it remains the case that wealth and permanent income are significant factors, creating social mobility issues. Similarly, gender, ethnicity and religion might impede educational achievements for those deterred by debt. Finally, the role of parental education and living at home in encouraging or inhibiting geographic mobility for higher education might also influence social mobility. Our findings focus on England but could be relevant for other countries with extensive student loans systems, such as the US or the Netherlands (National Center for Education Statistics 2015; van den Broek et al. 2018). These findings highlight a contradiction between the increased popularity of student loans globally and rising concerns in many countries about equity in higher education. As we show, whether student loans and equity can coexist is yet to be determined. Part-time undergraduates did not become eligible for loans until 2012. These grants were re-introduced in 2006 but subsequently abolished in 2015. In 2012, the interest rates on loans were increased to tackle the potential for arbitrage. An eighth wave took place when cohort members were 25 years old but is not used here. Consistent with this interpretation, a regression of living at home on parental education and all other socio-economic and demographic controls shows that students with degree-educated parents are less likely to live at home, while the opposite is true for Indian students. Multiple imputation was used on all variables except ethnicity and income (for correlation purposes). We acknowledge UCL and UK Data Service for providing access to the following dataset: University College London, UCL Institute of Education, Centre for Longitudinal Studies. (2018). Next Steps: Sweeps 1-8, 2004-2016. [data collection]. 14th Edition. UK Data Service. SN: 5545, https://doi.org/10.5255/UKDA-SN-5545-6. This study is supported by the Economic and Social Research Council, the Office for Students and Research England (grant reference ES/M010082/1), and the Centre for Global Higher Education (CGHE), UCL Institute of Education, London. Galizzi, M. M., Machado, S. R., & Miniaci, R. (2016). Temporal stability, cross-validity, and external validity of risk preferences measures: Experimental evidence from a UK representative sample (Working Paper). London: The London School of Economics and Political Science, Department of Social Policy. Retrieved from http://www.ssrn.com/abstract=2822613. Accessed 20 Apr 2017. Hovdhaugen, E. (2013). Working while studying: The impact of term-time employment on dropout rates. Journal of Education and Work, 1–21. https://doi.org/10.1080/13639080.2013.869311. Malcolm, D. (2015). Reaching home: Policy and practice for students living in the parental home. London: National Union of Students. Retrieved from https://www.nus.org.uk/PageFiles/12238/Reaching%20Home.pdf. Accessed 19 July 2018. National Center for Education Statistics. (2015). Digest of education statistics, 2015. Washington, DC: Author. Retrieved from https://nces.ed.gov/programs/digest/d15/tables/dt15_331.95.asp. Accessed 5 Aug 2018. Office for National Statistics. (n.d.). The National Statistics Socio-Economic Classification (NS-SEC). Retrieved February 20, 2019, from https://www.ons.gov.uk/methodology/classificationsandstandards/otherclassifications/thenationalstatisticssocioeconomicclassificationnssecrebasedonsoc2010#using-the-derivation-tables. Accessed 5 Aug 2018. Purcell, K., Elias, P., Atfield, G., Behle, H., Ellison, R., Luchinskaya, D., … Tzanakou, C. (2012). Futuretrack stage 4: Transitions into employment, further study and other outcomes. Higher education careers services unit. Retrieved from http://www.hecsu.ac.uk/assets/assets/documents/Futuretrack_Stage_4_Final_report_6th_Nov_2012.pdf. Accessed 5 Aug 2018.